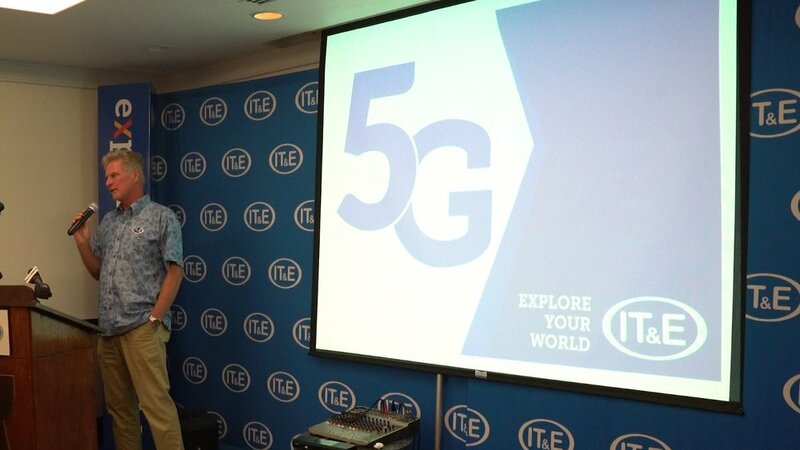 HARMON, Guam — Today IT&E, the largest wireless provider in Guam and the Marianas, is pleased to announce a strategic partnership with SK Telecom — Korea’s largest mobile operator, with around 30 million mobile subscribers, which equates to approximately 50 percent of the total Korean market. SK Telecom has been at the forefront of the country’s telecommunications development and today Korea is known for its early adoption of leading edge technology and its world-class cellular and broadband network performance, as well as its leadership in the roll out of 5G technology. The partnership represents an investment of $33 million USD by SK Telecom. With its investment in IT&E, SK Telecom has become the second largest shareholder of IT&E. SK Telecom was established in March 1984, leading the development of the global mobile telecommunications industry by launching CDMA (2G), WCDMA (3G) and LTE-A (4G) for the first time in the world. It belongs to the SK Holdings Group, which had revenues of over $84 billion USD in 2017, and is the second largest Korean conglomerate. Officials of SK Telecom, IT&E and Citadel Pacific Ltd. gather for a signing ceremony on July 26, 2018 at the IT&E Headquarters in Harmon. (From left) Brian Bamba, managing director, IP&E Holdings; Young Hwan Lee, SVP, Change Management Office of SK Telecom; Angela Rosario, Director of Marketing and Product Development, IT&E; Susana Ligeralde, chief financial officer, IT&E; Sang Soo Shim, SVP, Infrastructure Business Office of SK Telecom; Carisse Vendiola, Business Development and Analytics Head, IT&E; Jin Hyo Park, EVP, ICT R&D Center of SK Telecom; James Oehlerking, CEO, IT&E; Jose Ricardo Delgado, president & CEO, Citadel Pacific Ltd.; Ricardo C. Delgado, Chairman, Citadel Pacific Ltd.; Jung Ho Park, CEO and President, Telecom; Sung Won Suh, President, Mobile Network Operation Business Division of SK Telecom; Young Sang Ryu, EVP, Corporate Center of SK Telecom; Myung Jin Han, SVP, Global Alliance Group; Jong Ryeol Kang, EVP, ICT Infra Center of SK Telecom; and Min Yong Ha, VP, Global Business Development 1 Cell, Global Alliance Group. For more information about SK Telecom, please contact sktelecom@bm.com or visit www.globalskt.com.